Craps is one of the most popular and luxurious casino games in the world. It has recently become even more popular with the online version. Players can expect the highest quality animations, graphics, and sound effects when playing online. Craps tables found at the most sophisticated online casinos maintain a world class standard that come with impressive visuals and a fully immersive casino atmosphere that sets the mood for an ultra-redefined and classy online gaming experience. If you are keen to learn how to play craps and win, you have come to the right place. 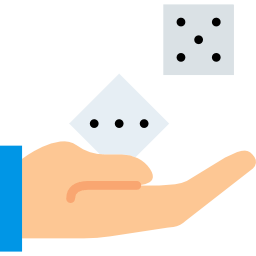 Below we detail all you need to know about playing this popular dice game. Before getting the round started, players are required to place their bets. Bets are placed on what players think the dice total will be. The game is played in rounds consisting of two phases; the come out and point phases. During the come out round, the shooter needs to make a come-out roll in order to get the round started. If the come-out roll is 2, 3, or 12 then the round will end with line bets been lost. However, if the come-out roll is 7 or 11, this will result in a win for all line bets. If the shooter (person who rolls the dice) rolls a 4, 5, 6, 8, 9, or 10 during the come out round, then the number rolled will become the point. This will mark the start of the point phase. During the point phase, if the shooter rolls a point number then all pass line bets will win. If the shooter rolls a seven, then all pass line bets will lose and the round will end. Pass Line – betting on the roll reaching seven or 11. If the shooter rolls a two, three or 12, the wager is lost. Don’t Pass Line – when placing these bets, players hope to see dice totals come up to two or three. If it adds up to 11 or seven on the come out roll, you unfortunately lose. Come Bets and Don’t Come Bets – these bets can only be placed after a point number has been established. Essentially the come bet is similar to the pass line bet and the don’t come bet is similar to the don’t pass line bet just after the point number has been established. Field Bet – a one roll bet that will only pay out if the next number rolled is 2, 3, 4, 9, 10, 11 or 12. Over 7 – a one roll bet that wins if the total of the roll exceeds seven. Under 7 – the opposite of the over seven roll. A one roll bet that wins if the total is below seven. Focus on Pass Bets – these bets have the lowest house edge in the game, which means the biggest chance of winning. We recommend trying to ensure that you keep making pass bets throughout your gaming session. Make Freed Odds Bets When You Can – these wagers have no house edge attached to them. Why wouldn’t you want to place them? Avoid Bets with a High House Edge – placing one roll and hard roll bets can lead to big losses very quickly. Sure, you will win big prizes if they go in your favour, but they usually don’t due to the huge house edge attached to them. Make Yourself Aware of Common Combinations – it goes without saying that the best players in a game know the ins and outs of it. If you know common dice combinations off the top of your head, you’ll know how to respond to situations and bet appropriately. Get the full world class online craps experience right here with our top online craps casinos. Try your luck on craps or other table games and you could win life changing payouts. Sign up to your casino site of choice to gain exclusive access to all the latest online casino games.